DomainIncite PRO is the internet’s premier source of objective, independent, vendor-neutral research and analysis devoted entirely to the domain name industry. Edited by industry analyst Kevin Murphy, DomainIncite PRO provides regular, in-depth coverage of the business, politics, policy and technology of domain names. We closely track ICANN and the progress of its ongoing new gTLD program, providing the best source of timely analysis of the policies covering the largest expansion of the internet’s naming systems in history and the business opportunities it will enable. Kevin Murphy is an analyst and journalist with over 12 years of experience covering the domain name industry. He attended his first ICANN meeting in 1999. Formerly US Bureau Chief with Datamonitor, reporting on the internet technology sector on a daily basis for Computer Business Review and ComputerWire, Murphy is also now a regular contributor on the domain name industry for The Register. Murphy has extensive experience executing bespoke research and analysis projects for organizations in the fields of internet security and domain name services. He founded DomainIncite in February 2010. “Always informative, thought-provoking and insightful (or should that be ‘inciteful’?). 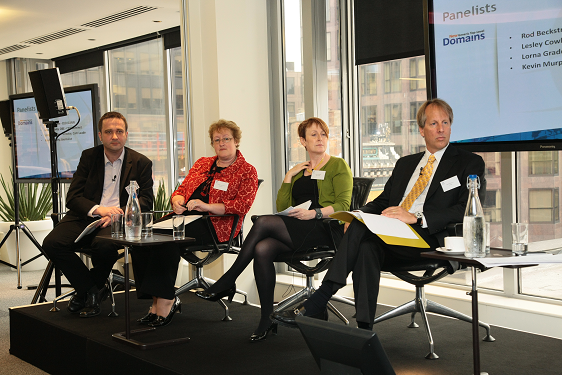 DomainIncite has quickly established itself as a must-read for those in the domain name industry and ICANN followers.” — Lesley Cowley, CEO, Nominet (.uk). “Must-read… Kevin Murphy knows ICANN and internet policy inside and out. When it comes to new gTLDs and the ongoing battle over internet governance, Kevin definitely has you covered.” — Andrew Allemann, Editor, Domain Name Wire.